I don't know about you all, but I still have a ton of Halloween candy floating around my house. At first I was ecstatic that Bradley was going trick-or-treating because that meant I was left to eat all of his candy, but I think my eyes were bigger than my stomach. There's so much of it! And there's no way I'm going to let it all go to waste. 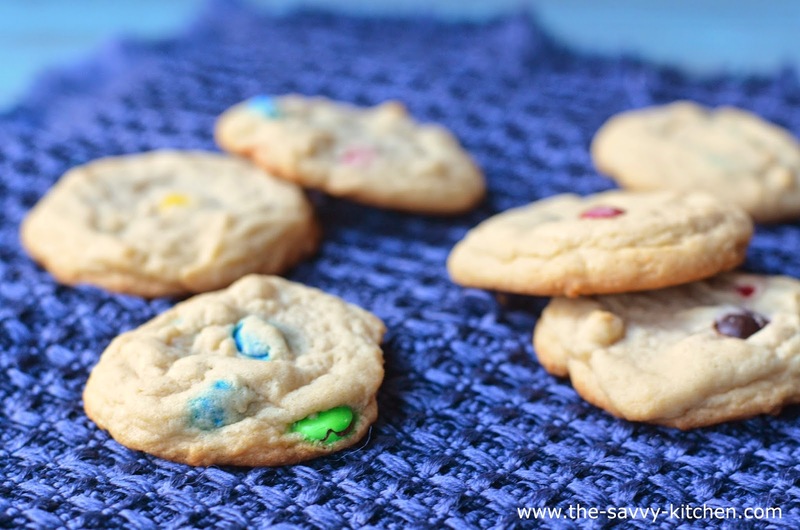 I used those mini M&M packets from his jack-o-lantern bucket for these cookies. Since he can't eat them (yet), I don't feel guilty for stealing his candy. Next year might be a different story, but for now I'm doing it while I can get away with it. 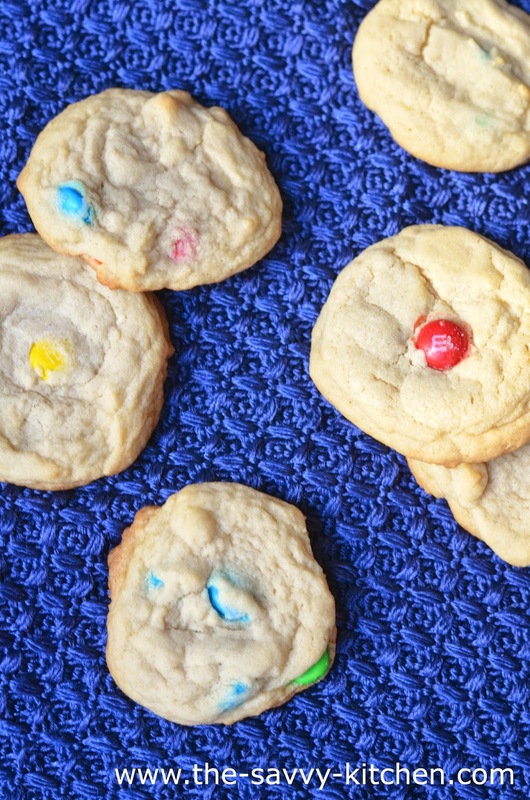 These are basically the softest and chewiest chocolate chip cookies you'll ever have with M&Ms in the place of chips. To. Die. For. 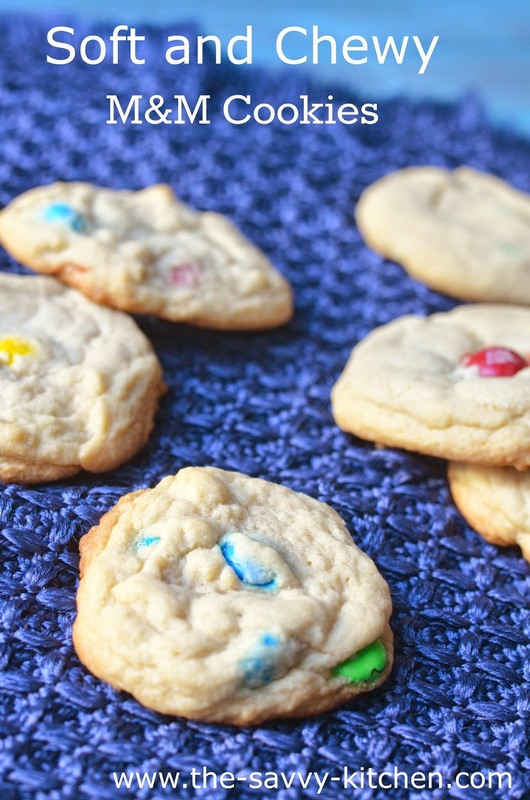 You can even use holiday colored chocolates to make them more festive. Enjoy!